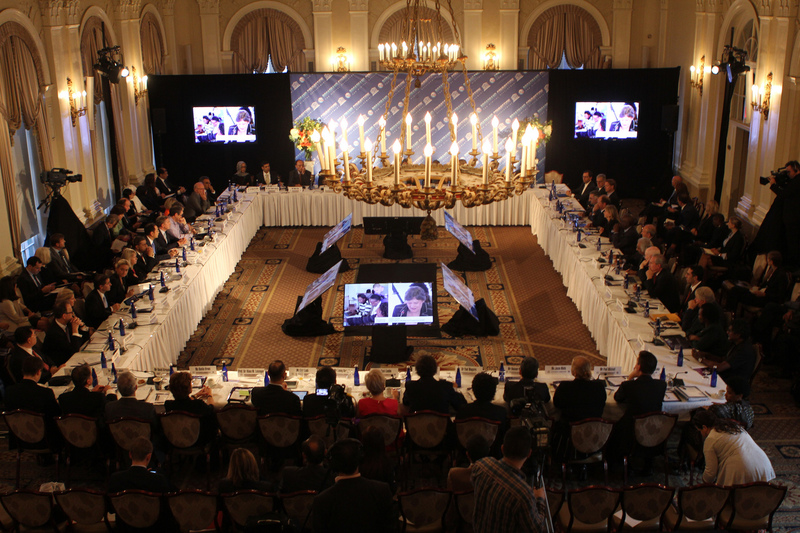 Just back from the 10th UN Broadband Commission meeting where one of the topics we explored with my fellow commissioners was the future of Broadband Technology. If you are reading this, you are likely already connected to some kind of a broadband technology – Cable Internet, Fiber Optic, Digital Subscriber Line (DSL), Satellite Internet, or Wireless. Well, roughly about 4 billion people won’t have the opportunity to read this nor your feedback to my commentary. The question for us is how best we get Broadband Technologies to these folks and how best we manage the limited spectrum available for all of us to continue having uninterrupted high-speed Internet access. The Moore’s Law unfortunately does not apply well in Broadband development. We have not seen doubling of the Internet speed every two years, or building twice as sophisticated broadband technologies within the same timeline. We have however seen solutions with incremental improvements in Fiber Optic Cables, Submarine lines, Satellite Feed, etc. I am proposing taking a page out of Defense Advanced Research Projects Agency (DARPA)’s approach to innovation to make inroads with the 4 billion without Internet. Whereas most private companies and government agencies focus on evolutionary, incremental improvements to existing technologies, we ought to setup grounds that encourage and enable a push for unconventional approaches to generate lasting revolutionary change. We help embolden entrepreneurs, innovators, and inventors to challenge the current assumptions and fundamentally change the mainstream solutions. The Robotics Challenge 2-4 year long competitions. All stakeholders will be invited to submit proposals of emerging technologies, after which a certain number will be selected to vie for a grand prize. Funding could be provided for the development period for the selected teams as they continue building toward a grand prize. 100 Year Starship 2011 DARPA program. Where instead of funding an actual creation, we facilitate creation of a business plan that can last 50-100 years. Funding could be provided to a creative organization to carry out the plan. DARPA’s success and impact on how we interact and communicate is undeniable. It has its fingerprints on such inventions as ARPANET (later the Internet), Graphical User Interface, AI in speech recognition, etc. Currently, its work on Atomic GPS could dramatically change the navigational technologies. Since the costs for satellites run over $200M per satellite, DARPA is exploring a better way in establishing global position that does not include traditional GPS that relies on satellite transmission. They are looking at Quantum Assisted Sensing, using atomic physics for sensing. Basically, DARPA wants to measure and understand how Earth’s magnetic field acceleration and position is affecting individual atoms. With that information, it may be possible to navigate without a satellite while reaching 1,000X more accuracy than with any of the existing technologies. Bold ideas require radical solutions.